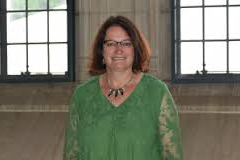 Leora Batnitzky is Ronald O. Perelman Professor of Jewish Studies and Professor and Chair of the Department of Religion at Princeton University, where she has been on the faculty since 1997. She has been a visiting professor at University of Tokyo, New York University Law School, Radzyner Law School IDC Herzliya, and Tel Aviv University Law School. Her teaching and research interests include modern Jewish thought, philosophy of religion, hermeneutics, and contemporary legal and political theory. Please RSVP for Seuda Shlishit below.